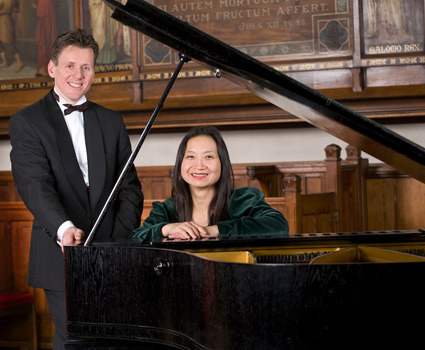 In addition to original music written specifically for piano and guitar which we found through our travels and contacts, we regularly arrange popular works for our duo and invite outstanding composers to write for us. We enjoy custom-tailoring a programme to suit the occasion and audience, which have included improvisations for the opening of new exhibitions at art galleries, background music for gala events, weddings, memorial services, private house concerts, and concert series in churches, elderly homes and hospitals. We welcome new requests and suggestions.